Sometimes it is difficult to know what to give somebody that will be their particular interest. If you give a Gift Certificate then the recipient of your gift can choose things that particularly appeal. Click here for details. Full of stunning illustrations, this new fully revised edition contains updated information about each species in the light of new research and updated maps. All life stages are illustrated, and aspects of identification, variation, distribution, life-cycle, ecology, food plants and behaviour are all covered. A masterpiece! 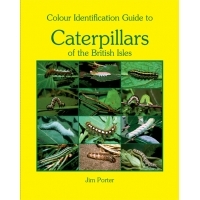 A very striking and informative identification guide, which will help at a glance to identify butterfly caterpillars. The artist is Gordon Riley, and it is edited by David Carter. 20 x 30". Sent folded. 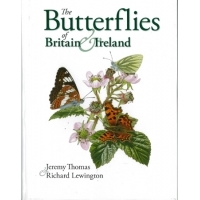 A practical Handbook for British and European butterflies and moths. Very highly recommended. Information on breeding 1000 species. 10 x 8". 176 pages. 47 text figures. 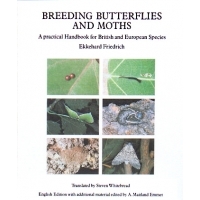 A complete and important book for anyone keen to breed and conserve insects. One of our best selling titles. 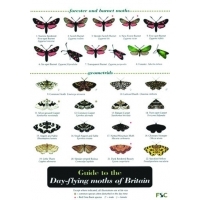 8-page laminated chart with 103 species of day-flying macro-moths and information on the habitats and distribution of each species. Illustrations by Richard Lewington. One of the most vivid of the exotic Asian moss-green Swallowtails. Palinurus flies well in a conservatory and settles with wings prominently open. The butterflies need nectar flowers such as Pentas, Buddleia and Lantana. Pupae need a hot and humid greenhouse atmosphere, shaded from the sun. 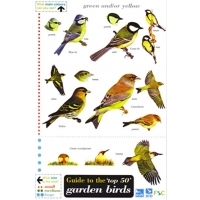 This laminated fold-out chart is designed to help identify the majority of species likely to be found in a garden throughout the year. 12 pages. 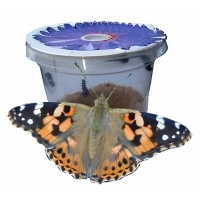 The five Painted Lady caterpillars live their whole life inside the see-through pot which contains all they need from birth to pupating. You need add no food. You don’t even clean them out and they look after themselves over weekends! The larvae grow quite quickly in summer indoor conditions (never keep them in direct sunshine). The container is easily passed round a group without disturbance to the larvae. During skin change the larvae do not move or eat This may last a day or two. Don't be alarmed by this: it is a natural stage in their development. When the larvae have finished eating, they suspend themselves from a silk pad spun on special absorbent paper in the lid. Here they cast their caterpillar skin. 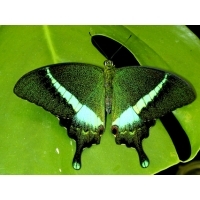 If you are lucky and look at the right moment you can see the actual moment of change from caterpillar to chrysalis. Let the chrysalis harden for a couple of days, then hang the paper pinned inside a cage for the butterflies to emerge. You can keep the butterflies for a few days in a cage with nectar flowers. Then, except in the colder months October to March, release them into the wild where they may breed naturally in your area. Please keep the larvae and pupae in an even room temperature (around 18-22º) day and night. Keep away from direct sunlight or a direct heat source such as a radiator. The instructions are printed above - please note them for the arrival of the larvae which are not sent with further instructions. If you are sending larvae as a present, please remember the recipient will not have these instructions, unless you copy them to the recipient. Can be ordered in advance. During the season there may be a delay of a couple of weeks or more if larvae are not currently at the size for sending. 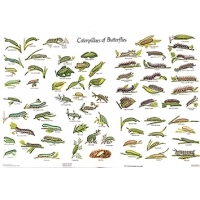 Illustrates 850 butterfly and moth larvae. Books for identifying caterpillars are very scarce. This excellent caterpillar guide is now available again. Foodplants, Habits etc. detailed for each species. Compliments Skinner’s Moths. Hardback 275 pages. The best guide for many years.